« Nisi Cine Lenses Coming Soon? Sony is hosting a press conference Sunday at 6:00 PM EST and you can follow it live at SonyAddict. Don’t worry if you show up a little late ill be live blogging anything exciting that happens. Make sure you follow SonyAddict on Facebook and Twitter in addition to signing up for notifications with the red bell if you haven’t already and following our RSS feed. Sunday might have some surprises. 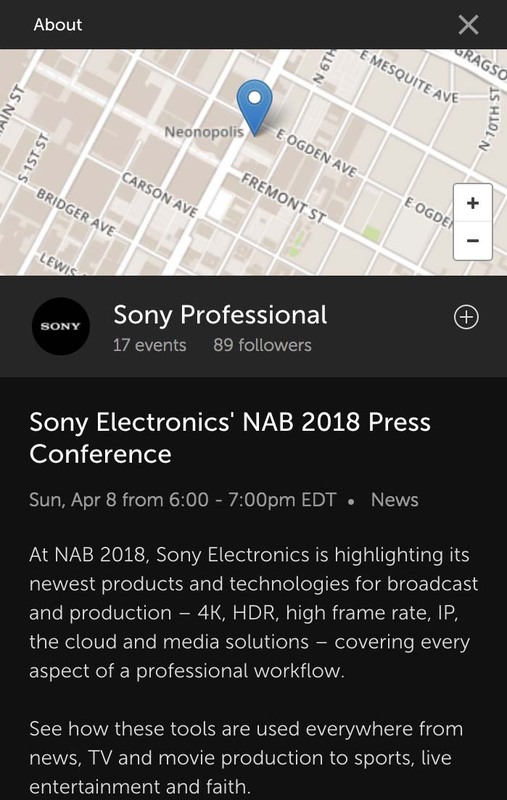 This entry was posted in Press releases and tagged NAB, NAB 2018. Bookmark the permalink. Trackbacks are closed, but you can post a comment.